After an enjoyable Saturday in school administering some resit mock exams, I was pretty keen to get out today despite the diabolical weather forecast. A bit of local gulling yesterday was unproductive, so I headed (as usual) down to Dungeness. 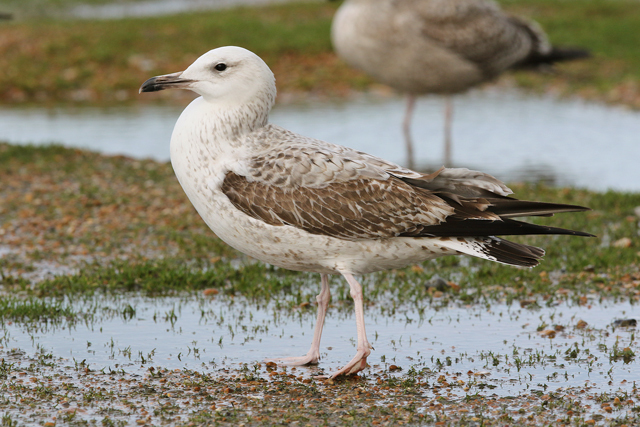 It seems as though things had been pretty static down there while I'd been in Japan, but at least I may see the currently regular Caspian Gull down there (that had arrived while I was away). 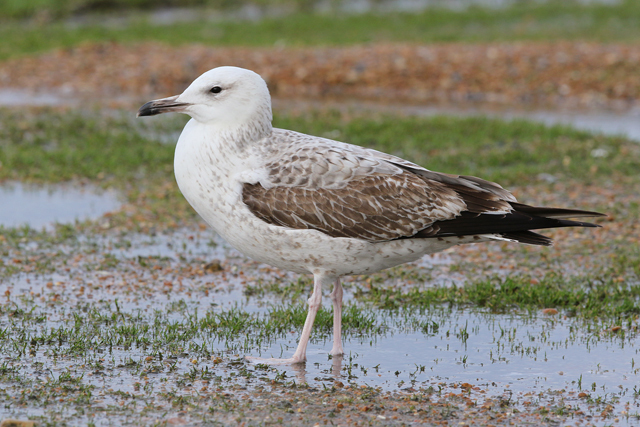 And so it was that, with Mick S and Richard S, the regular 1st-winter Caspian Gull arrived to feed by the fishing boats earlier this afternoon. A really bold bird, enjoying the feast we provided and as well as being often the closest bird it also preferred to run around a fair bit rather than use its wings. There was little else of interest, bar a NTGG ringed Herring Gull and a couple of Norwegian Great Black-backed Gulls. 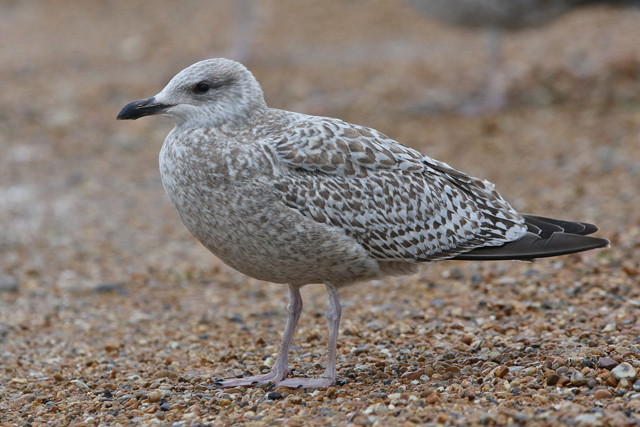 It got me looking at the Herrings, and though there haven't been many yet this winter, this guy is probably a northerly bred bird. Not a massive, swarthy typical argie but retarded enough moult wise to assume more northerly than most. I had a brief look at the RSPB reserve last thing, and saw the Long-eared Owl by the dipping pond which was proving popular once again with the punters. I'm obviously out of touch with things, but my opinion is that a roosting owl is one of the most boring birds you can feast your eyes on. Evidently not. A couple of redhead Smews distantly from Makepeace Hide in the dismal weather furthered my desire to be back birding in Japan.